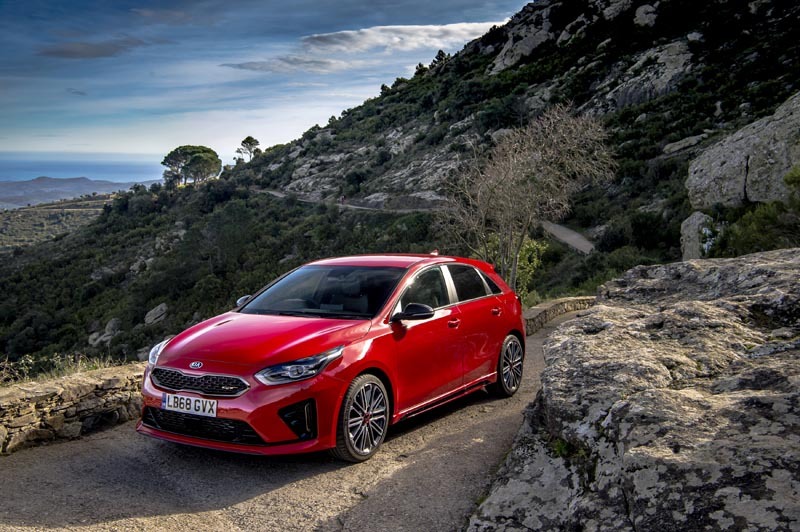 We were fans of the previous Kia Ceed GT. Its focus on delivering a more mature, well rounded experience meant it carved itself a niche as a sort of hot-hatch for grown-ups. 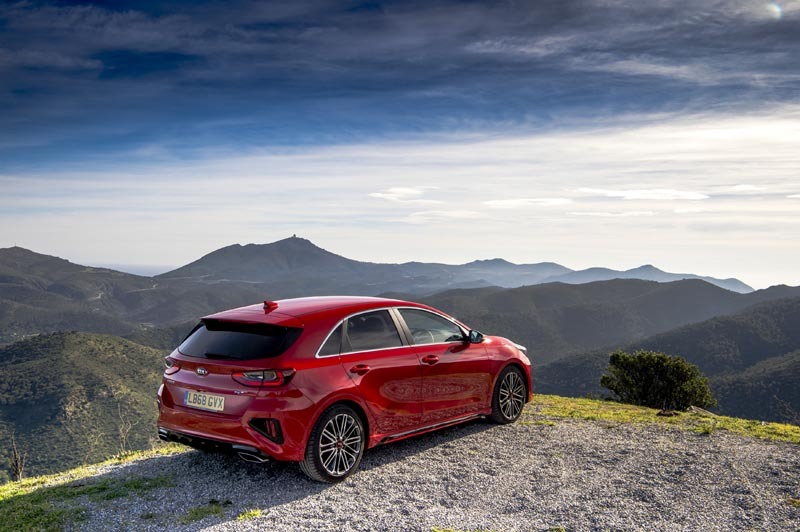 It had performance, yes, but also a welcome degree of compliance, and that made it a far more usable prospect than some of its harder-edges rivals. 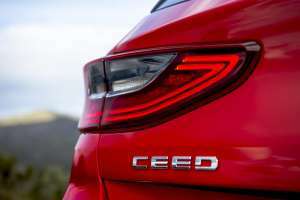 Thankfully for the new 2019 Ceed GT, that recipe hasn’t been altered, although a few of the ingredients have been altered slightly. For a start, there’s a new platform to use as a base, one that underpins the already very competent regular Ceed hatchback. 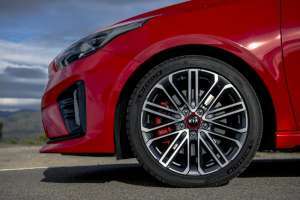 To this, the GT adds sportier bumpers with larger air intakes, subtle side skirts and roof spoiler, a sprinkling of GT badges, and red brake callipers that peek out from behind larger 18-inch alloy wheels. The interior retains the same quality feel of the rest of the Ceed range, while wearing a sportier theme all of its own. 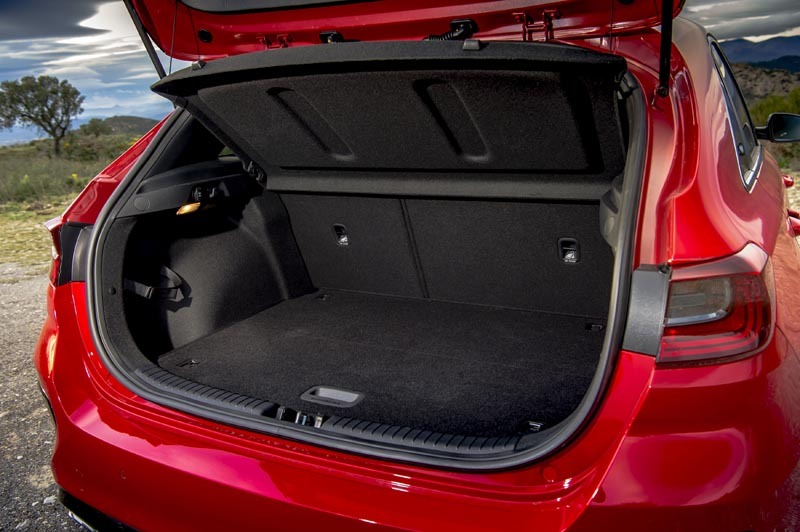 That’s thanks largely to black headlining, aluminium pedals, a flat-bottomed steering wheel, and sports seats in leather and faux suede. This all means it looks the part, but it’s the driving experience that’s important here, and to ensure they had it right Kia subjected the GT to an additional six months of testing over and above the rest of the Ceed range. 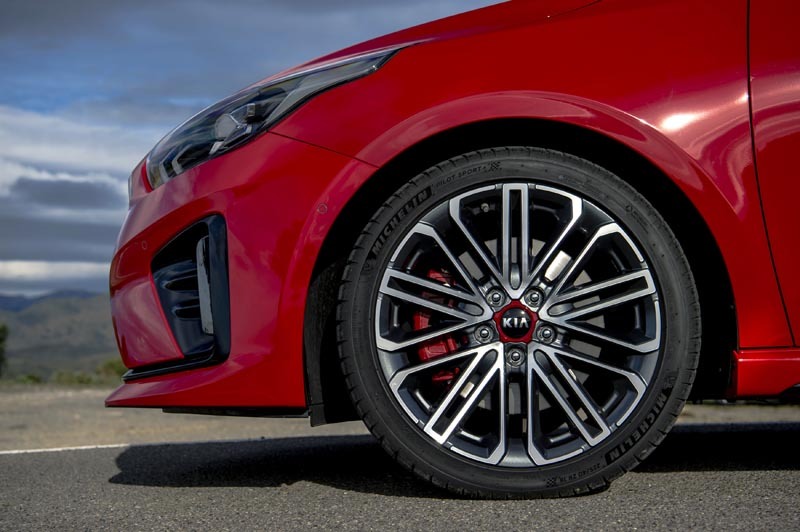 The result is a 5mm reduction in ride height with stiffer springs front and rear, while softer anti-roll bars at both ends help ensure the rubber remains in contact with the road. The brakes are larger, too, with 320mm front discs up from 288mm. They’re also 3mm thicker. And then there’s the power-plant. As with the previous Ceed GT, power comes from a 1.6-litre turbocharged petrol unit delivering 201bhp and 265Nm of torque. Peak torque does arrive 250rpm earlier now at 1,500rpm, and it hangs around all the way until 4,500rpm. 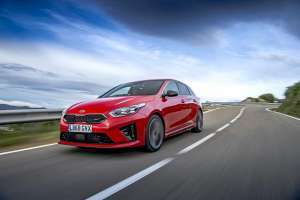 That’s enough to give the Ceed GT a 143mph top speed while the 0-60mph sprint is dealt with in 7.2 seconds – 0.2 of a second faster than the old model. It sounds better, too. 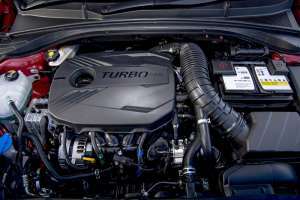 At start-up, there’s a bassy burble from the exhaust that’s joined – in Sport mode, at least – by an intoxicating airbox resonance from up-front. Some of this may be synthetic and merely piped into the cabin, but it still reminded me of hot-hatches I used to drive back in the day. It’s livelier than you might be thinking. Almost too lively at times, only too keen to light up its front tyres, while in Normal mode it feel a little neutered – almost lethargic – by comparison. 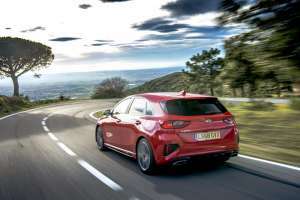 The GT’s boosty nature means it’s best to change up early and surf the wave of torque rather than push on to the redline, with the six-speed manual gearbox’s ratios seemingly chosen just for this purpose. 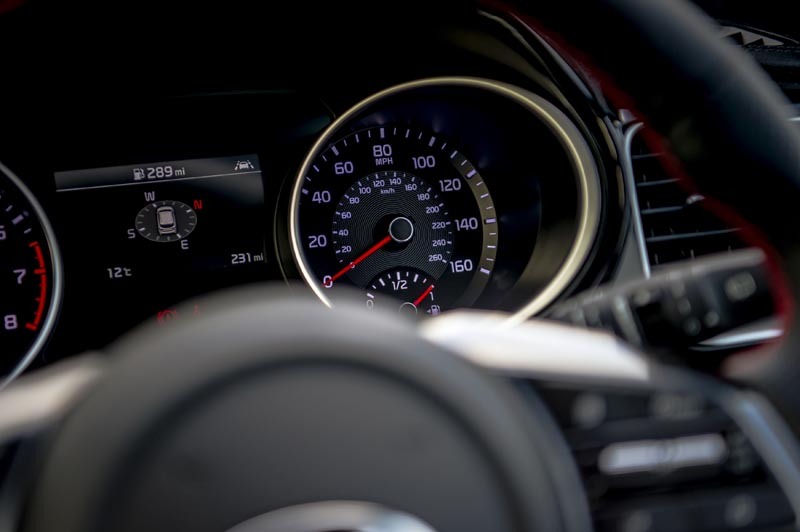 We did notice that it seems to hang on to its revs during gear-changes longer than we’d like, and once you’ve shifted there appeared to be a noticeable torque reduction before full-boost was re-applied. 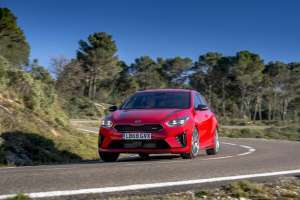 At first this felt like straight forward turbo lag, but as our time with the GT went on we couldn’t help feeling this was a more deliberate measure, perhaps in order to preserve the clutch or transmission. Compared to the old model, though, the new Ceed GT is undoubtedly pointier. 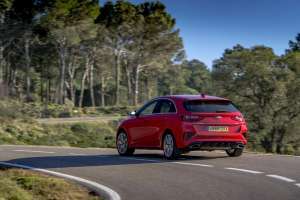 There’s less understeer, the steering is quicker and feels weightier, while body movements are far more tightly controlled than before (not that they were in any way baggy to begin with). 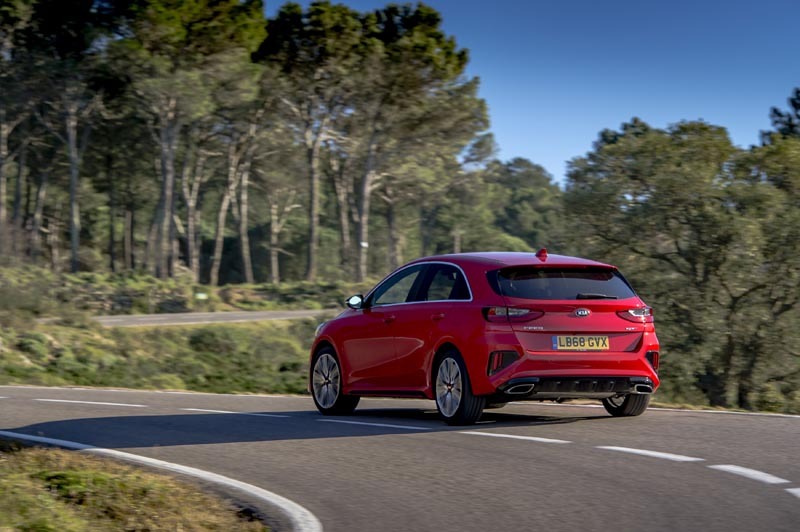 Some rivals might be a little more playful, but aside from the occasional fidget at higher speeds the new Ceed GT offers an extra level of compliance and composure that other hot-hatches lack. In the real world with its congested and camera-infested roads, I’d argue that’s perhaps more important. The previous Ceed GT appealed because it offered arguably a more rounded experience. 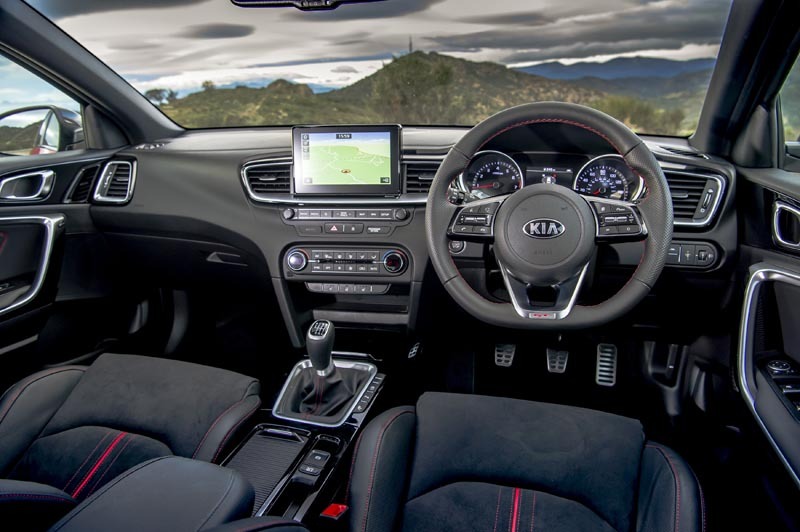 In this new model, Kia have successfully expanded the envelope of its talents. 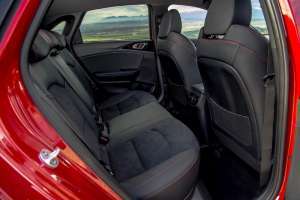 Smart looks, a quality cabin, punchy power delivery, and a ride and handling balance that (rightly, in our opinion) favours daily-driver usability. The same recipe as the original Ceed GT. Just with better ingredients. Still an appealing balance of performance and composure. Less understeer, sharper turn-in; a responsive handler. Appealing (if perhaps synthetic) exhaust note. Typical quality feel to cabin design and materials. Hangs on to revs during gear-changes too long, seems to have deliberate torque reduction, often feels like lag. Normal mode a little too lethargic for our tastes.